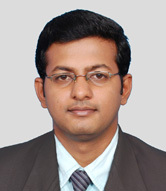 Dr. A. Arunkumar completed his MBBS in Stanley Medical College, Chennai (2009). He completed his MD in Pediatrics from the reputed Bangalore Medical College and Research Institution, Bangalore (2014). He has been awarded the prestigious Jayaram Memorial award for the best post graduate presentation by the Indian Academy of Pediatrics - Bangalore Pediatric Society during his post-graduation. He worked as a consultant Pediatrician and Neonatologist for 8 months in Wellkidz Pediatric Unit of Arogya Seva hospitals, Hosur, a unit of Kauvery Medical Centre. Currently he is working as Consultant Pediatrician at KMCH, Erode. Arunkumar Anbazhagan, Asha Benakappa. Not Just Cerebral Palsy: Diastrophic Dysplasia Presenting as Spastic Quadriparesis, The Journal of Pediatrics, Volume 164, Issue 6, June 2014, Pages 1493-1494, ISSN 0022-3476, http://dx.doi.org/10.1016/j.jpeds.2014.02.034. Thesis: A descriptive study of depression in adolescents in Bangalore, a first of its kind large-scale study undertaken among various urban and rural schools of Bangalore, analysing the prevalence, risk factors, co-morbidities and severities of Depression among adolescent students. A retrospective cohort study to compare the effectiveness of platelet non-transfusion with transfused patients in severe dengue, submitted for publication. A randomised controlled trial to compare the effectiveness of 6-month oral prednisolone course versus standard 3-month course for new onset nephrotic syndrome, submitted for publication.